Arpana John of class 6th made the school proud with her commendable achievement in Taekwondo championship .She won gold medal in Open International Taekwondo Championship held at Delhi in which eight countries participated. Principal,Mrs Anuja Sharma congratulated Arpana for her consistent hard work and arduous efforts.She blessed her to continue her efforts to achieve and excel in her endeavours. DAV MODEL SCHOOL SECTOR 15 BOYS TEAM was awarded GOLD MEDAL in UTAH SUB JUNIOR STATE VOLLEYBALL CHAMPIONSHIP AT SEC.7 CHD by CHIEF GUEST DR.MOHINDER SINGH , JOINT DIRECTOR, SPORTS. (UT SPORTS Department) SAI COACH MOHAN NARGETA AND SH VIJAYPAL SINGH GEN SECRETARY CHANDIGARH VOLLEYBALL ASSOCIATION congratulated the winners. Principal Mrs. Anuja Sharma felt elated at their commendable achievement and motivated them to work hard and excel in their future endeavours. Manas Chugh OF 11th Commerce secured 2 gold and 1 bronze medals in the Pre-National Shooting Championship organized by Chandigarh Rifle Association,Chandigarh. He also qualified for playing G.V.Mavalankar Shooting Championship i.e. All India Pre Nationals Championship to be held in Mumbai. Principal Mrs Anuja Sharma felt elated at his commendable achievement and wished him luck to achieve many more milestones in future. The ball badminton team of DAV MODEL SCHOOL,SECTOR 15 A , CHANDIGARH bagged first position in UT Ball Badminton Inter School Tournament held at Govt School, Sector 41 , Chandigarh in U-19 , Boys Group. Principal, Mrs Anuja Sharma congratulated all the team members and their teacher, Mrs Vikram for their earnest endeavours to achieve this commendable achievement. She wished them luck to accomplish many such milestones in future. The team members who wholeheartedly participated were Yuvraj Singh , Aakrshit Mahajan, Ojesvi Sharma, Chitraaksh Sharma, Harmandeep Singh, Utsav Kapoor, Ashish Yadav and Bhupinder Singh. Arpana John of class 5 of DAV MODEL SCHOOL SECTOR 15 Chandigarh made the school proud by her commendable performance in Taekwondo competition .She won a bronze medal in “Kukkiwon Cup Indian International Championship held at Talkotra Indoor Stadium, New Delhi. 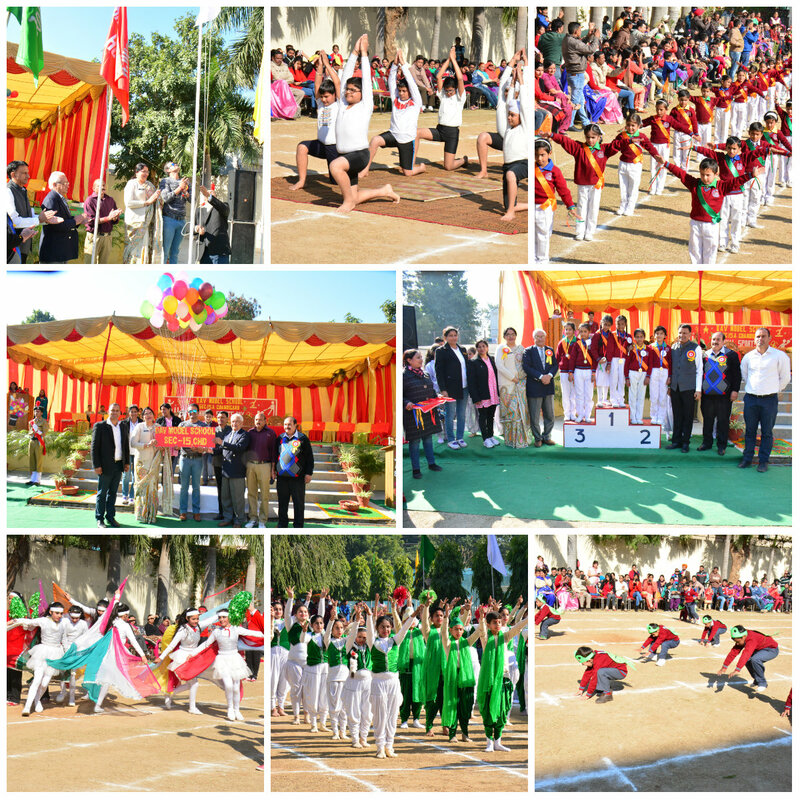 Participants from 24 countries participated in this competition that was organised by Indian Dojang Sports Organisation. Principal Mrs Anuja Sharma congratulated the child and wished her luck for many such milestones in future. 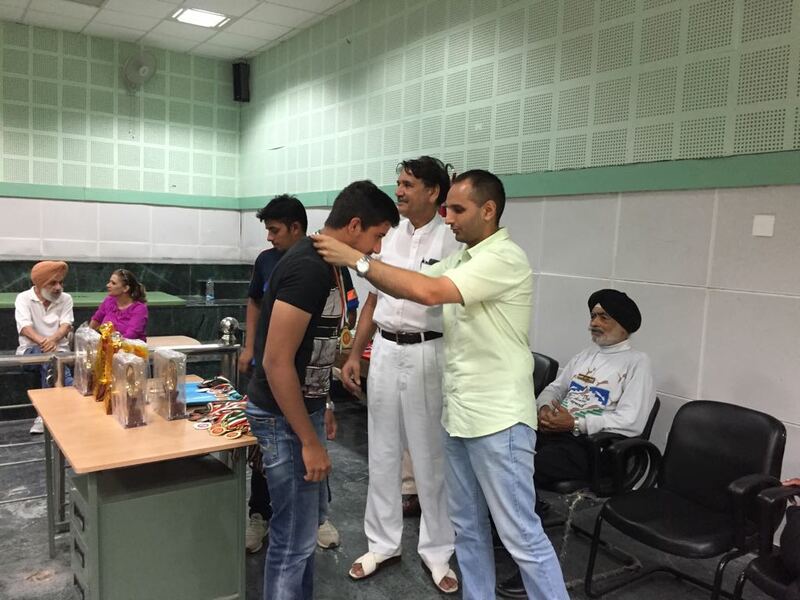 ARVINDER WINS LAURELS FOR DAV 15 CHD. Arvinder sigh of Class-10 B of D.A.V. -15, Chd. brought Laurels to the school by winning a Silver Medal (2nd Position ) in 19th Sub Junior Inter State Challenger sprint National Rowing Competition held at Chennai. He also won 1st Prize in Inter State Challenger Sprint. The Principal Mrs. Anuja Sharma congratulated and motivated him to shine in his rowing skills and emerge as a winner thereby making his school and parents proud of his commendable achievements. 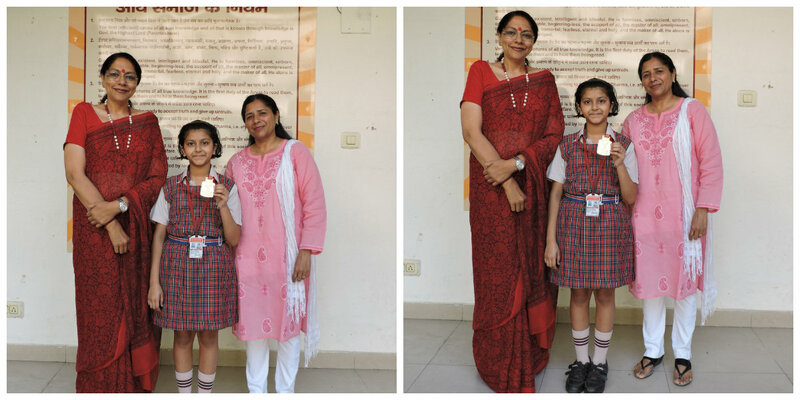 Devanshi of Class- XI Arts won Ist position in 100 mtrs race and Ist position in long Jump . She was also declared the Best Athlete. Nandini Sharma 4-3, 4-1 Arushi Kakkar- 2-4,4-2,4-3. Total teams were 39 from which our team won. The Principal of the School Mrs. Anuja Sharma congratulated them and blessed them for many more such victories. The Coach Vikram Chaudhary from the school was also elated at the victory. The school Boys team of Lawn Tennis (U-19) comprising of Param Pun, Paramveer Singh Bajwa, Nihit Rawat, Rohit Kumar,Parmeet Singh Deol won the U.T. Lawn Tennis Championship. 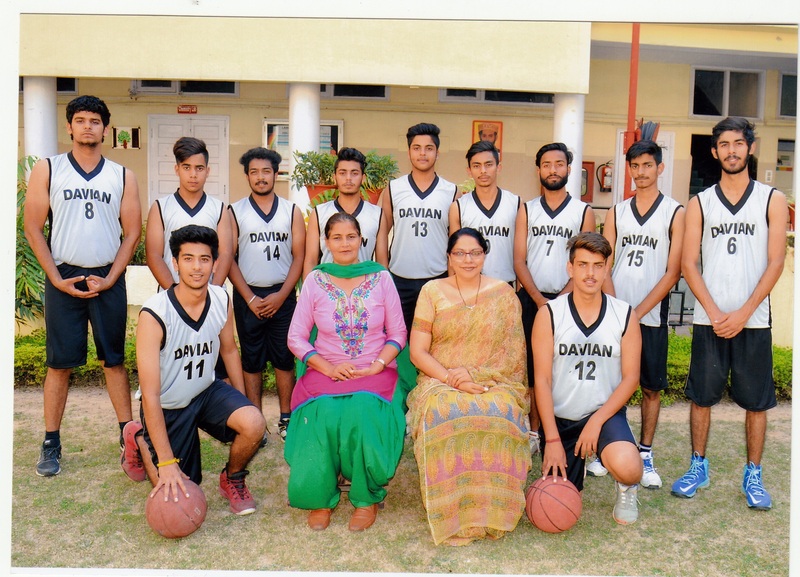 Earlier they won the match that was held between DAV Model Vs. DPS, Sector-41 and the winners were Param Pun, Paramveer Singh Bajwa, Nihit Rawat, Rohit Kumar, Parmeet Singh Deol. After that the finals were held in the Lake Club and the team won from Carmel Convent School, Sector-9 team. 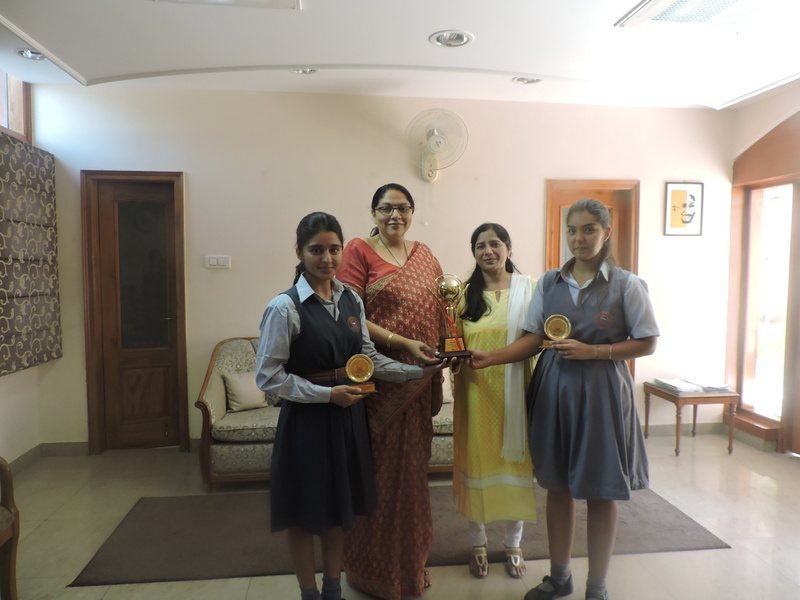 The principal Mrs. Anuja Sharma congratulated them and blessed them for many more victories. The coach Ms. Vikram from the school was also elated at the victory. City-based junior golf champion Feroz Singh Garewal is all geared up for a host of international tournaments that will keep the youngster busy for the next couple of months. The most prominent of these will be the Asian Games, to be held in Incheon, South Korea, from September 19 to October 4. Besides Garewal, who had topped the six-round trials organised last July for selecting the Indian squad for the Asiad last July, Manu Gandas (Delhi), Udayan Mane (Bangalore) and Samarth Dwivedi (Uttar Pradesh) are in the team. “I am excited to be part of the squad and it’s an honour to represent the country. I have been to Korea before and have first-hand knowledge of playing there. It’s a bit chilly and wind is also an element when you play on the course,” said the 17-year-old golfer, who ranks first in both Category A (15-to17 yrs) and Category A and B (13-to-17 yrs) combined of the Indian junior golf circuit. He was talking to the media at a press conference organised at Chandigarh Golf Club on Wednesday. Prior to the Asian Games, Garewal will compete in three back-to-back international tournaments, starting with Asian Junior Team Championship, to be held in Gunsan, Korea, from August 11 to 14. Here, too, like the Asian Games, every participating country will be represented by a four-member team. Besides Garewal, the team will include Viraj Madappa (Kolkata), Shubham Narain (Delhi) and Pukhraj Singh Gill (Punjab). All the players have been selected to the Indian squad on the basis of their national ranking in the combined Category A and B. Following the Asian championship, Garewal will head to China, where he will compete in the 2nd Youth Olympics from August 16 to 28. While the city lad, who studies in Class 12th at DAV Model School, Sector 15, and trains under coach Jesse Grewal at the CGA Range, will lead the Indian challenge in the boys’ section, Aditi Ashok of Bangalore will feature in the girls’ event. Later in the tournament, the duo will also partner in the team event. And before Garewal finally returns to South Korea for the Asian Games, he will travel to Karuizawa, Japan, to compete in the World Amateur Team Golf Championship for the Eisenhower Trophy from September 7 to 14. Garewal’s team will include his Asian Games squad members Manu Gandas and Udayan Mane.